Kirby worked for Voorhees and Everhart starting in 1951 then Dupont. He married Nancy, who he met previously at a freshman college mixer, in 1952. He attended the NCSU School of Design from 1953 to 1957, interning with Haskins & Rice, Leif Valand, Terry Waugh, Holloway & Reeves, McKimmon & Edwards, and William Moore Weber. 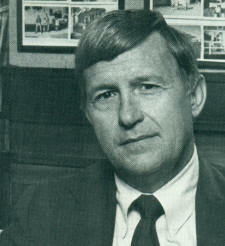 He also worked at Voorhees and Everhart in the summers and holidays through August 1955. His fifth year was completed at Oklahoma State University with a Bachelors in Architecture. After graduation, Kirby worked for Lashmit James Brown Pollock from 1958 until 1962; Fred W. Butner, Jr. 1962 until November 1964; then he opened up his own firm. 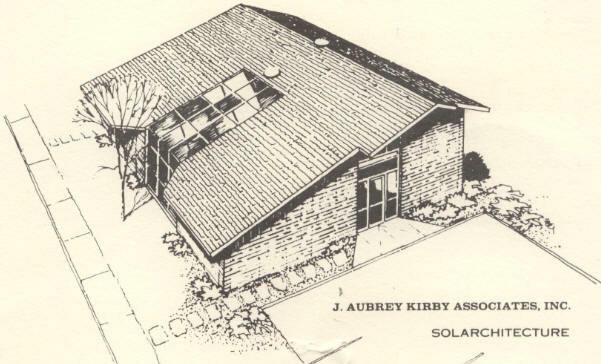 Kirby patented the word "solarchitecture" and received the Governor's Energy Achievement Award for work in solar engineering. 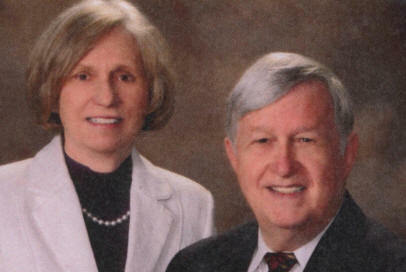 He designed over 80 church-related buildings in North Carolina. (left to right) Students Aubrey Kirby, Abie Harris, and Edwin Jones at the Matsumoto Wing of the NC State University School of Design, designed by George Matsumoto with Carter Williams as the architect of record. 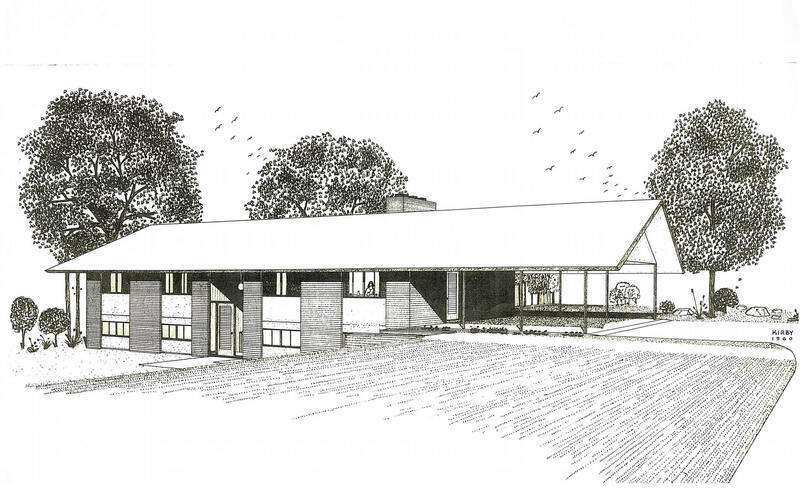 1956 - The C. Russell Goodwin Residence, 4601 Joyner, Raleigh. Commissioned 1955. It was his first project moonlighting while in the NCSU School of Design. 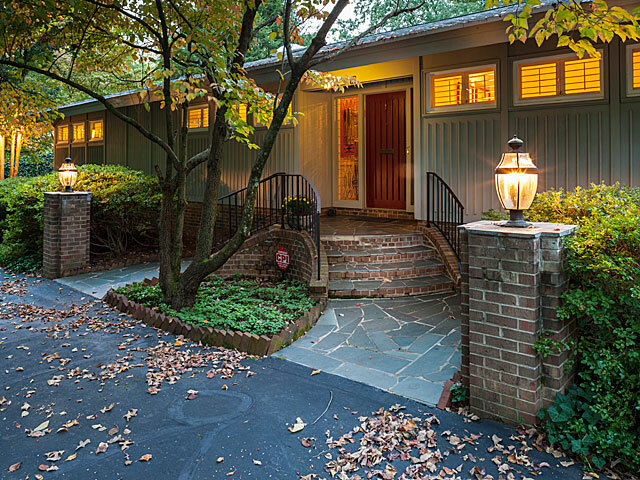 Sold by the Goodwin heirs to Old Stage LLC in 2001. 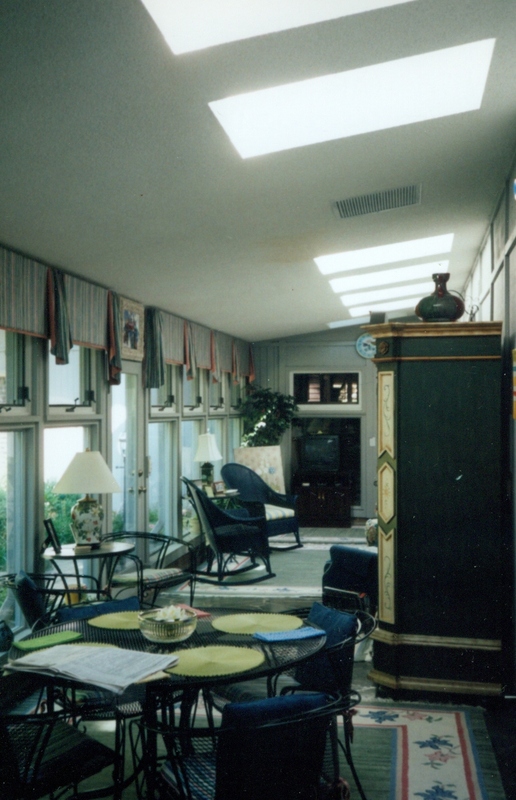 Sold in 2003 to William and Christine Camp. Sold in 2013 to Betty L. Baker. 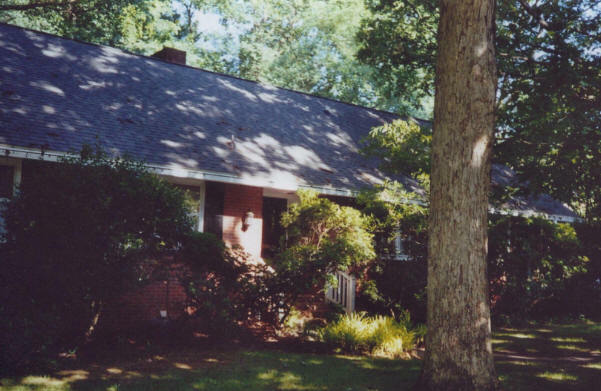 1960 - The David H. Michal Residence, 815 Yorkshire Road, Winston-Salem NC. The Modernist style has since been altered, as shown in photo. 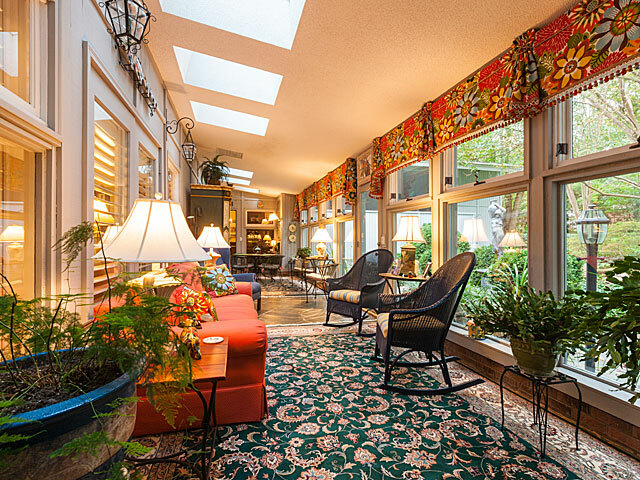 Sold in 2002 to Nancy Baity and Kevin Line. 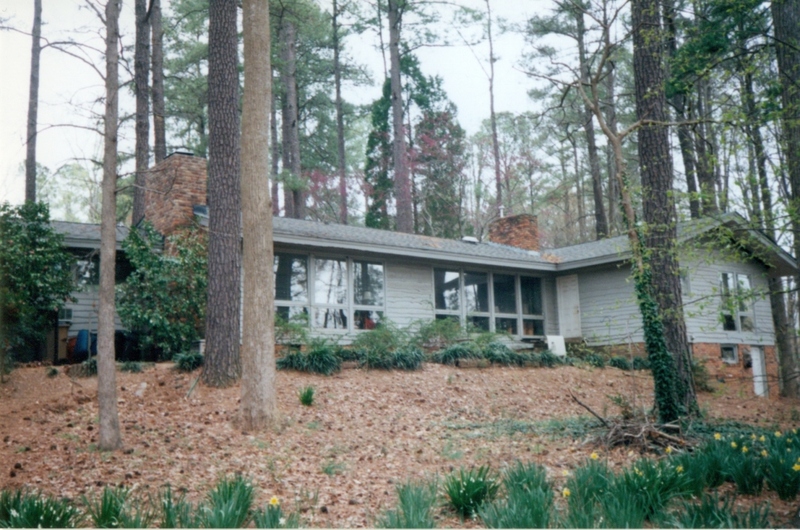 1964 - The J. Aubrey and Nancy Kirby House I, 1110 Yorkshire Road, Winston-Salem. An intentionally conservative house designed to be marketable, just in case his newly-formed architecture firm didn't make it. 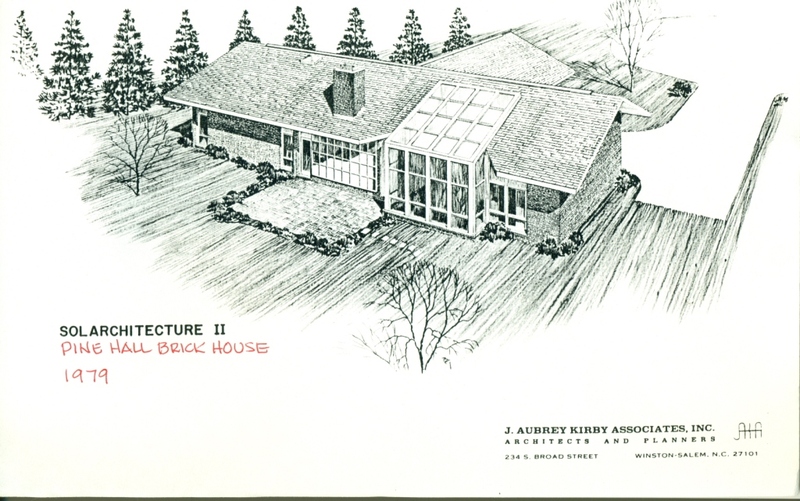 Not to worry, however, because Kirby was successful and built a much larger house in 1971, below. Has been sold several times. 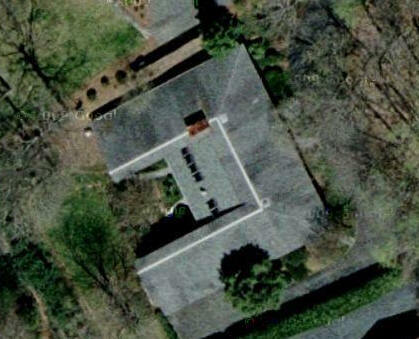 As of 2012 owned by Mary and Michael Friedman. 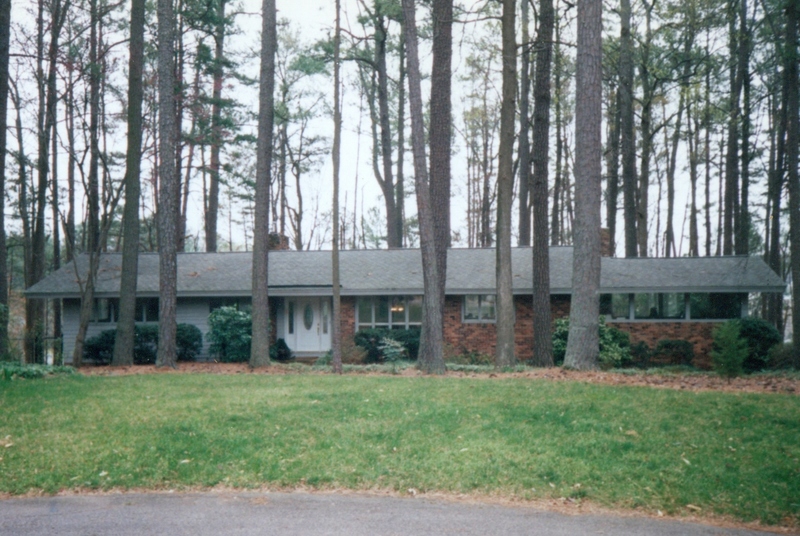 1966 - The Joseph L. Carlton House, 2828 Galsworthy Drive, Winston-Salem NC. Deeded in 2004 to Heloise Carlton. 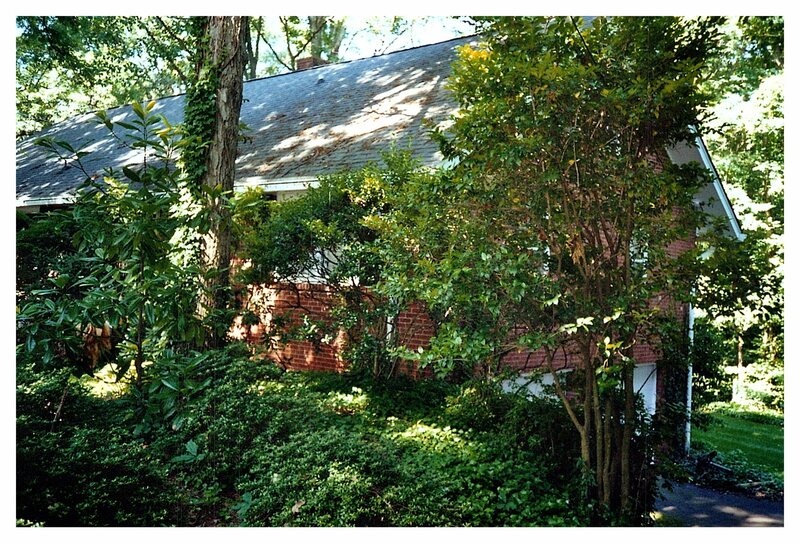 1971 - The J. Aubrey and Nancy Kirby House II, 460 Archer Road, Winston-Salem NC. Commissioned 1970. 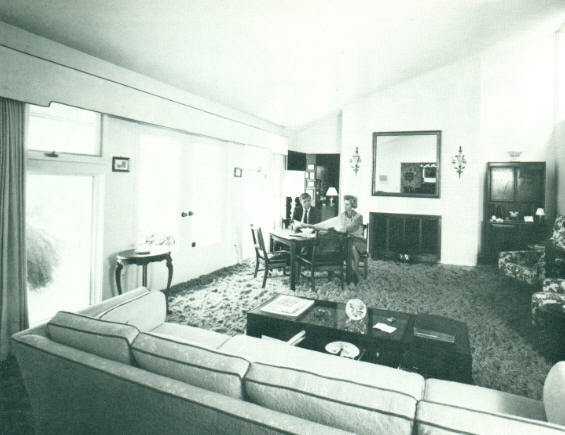 Kirby turned a portion of the house into an office, 454 Archer with its own entrance and address. Sold in 2013 to Christina M. Sigur. 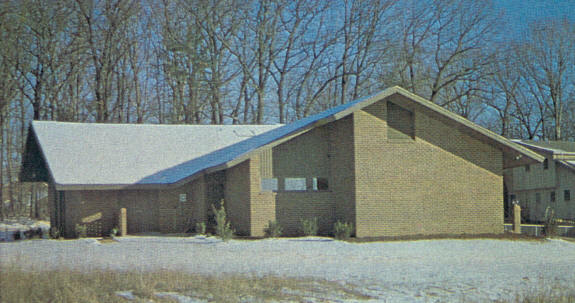 1971 - 656 Hertford Road, Winston-Salem NC. 4000 sf. Traditional design. 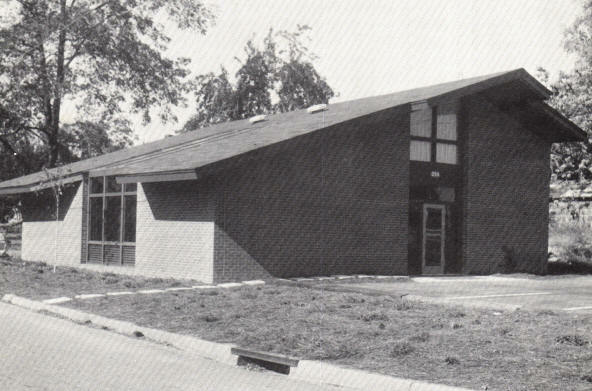 1978 - aka Solarchitecture I, aka the Kirby Architecture offices, 234 South Broad Street, Winston-Salem. 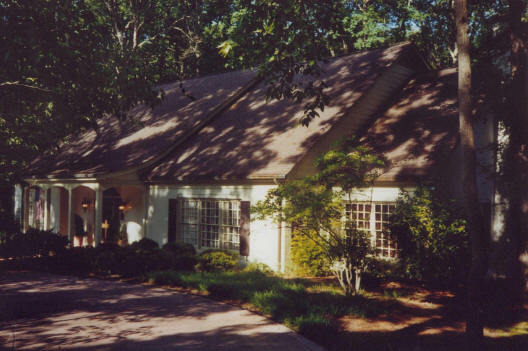 The firm stayed there for 20 years before moving into Kirby's house on Archer Road. As of 2012 owned by Barbara Castleman. 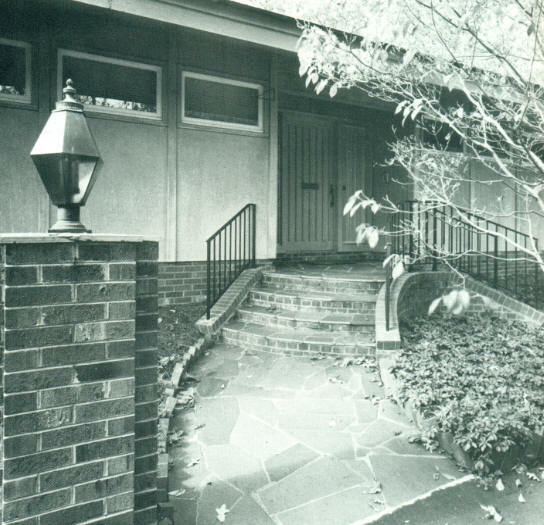 1979 - The Lee Tesh House, aka Solarchitecture II House, aka The Pine Hall Brick and Pipe House, 1012 Shaker Court, Winston-Salem. 2100 sf. 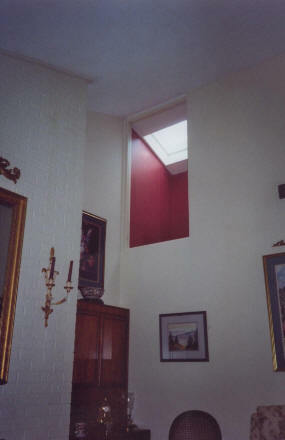 Includes an atrium. 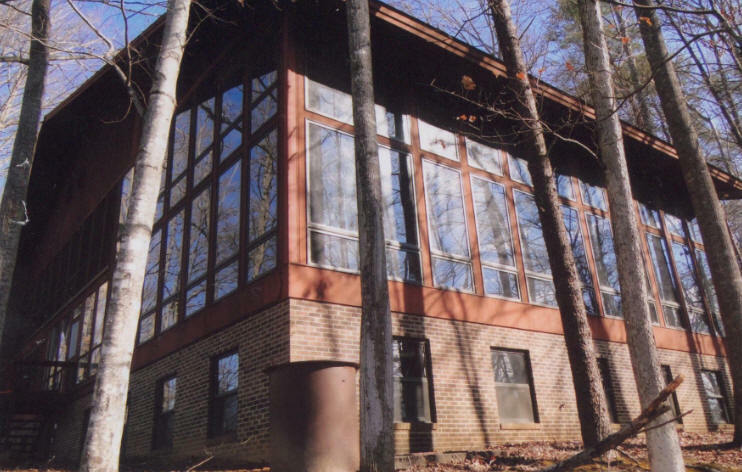 This was a spec demonstration house featuring a trombewall, a solarpanel constructed of glass and brick that captures solar energy and stores it for later use. 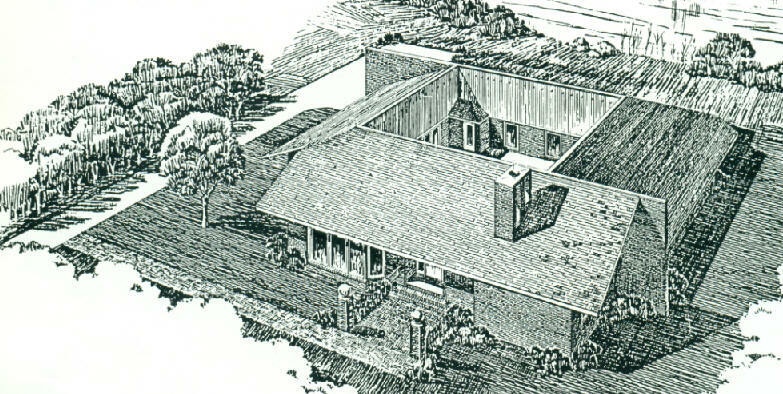 It was the first passive solar-heated home in the area. Construction by E. Jack Reich and Sons. 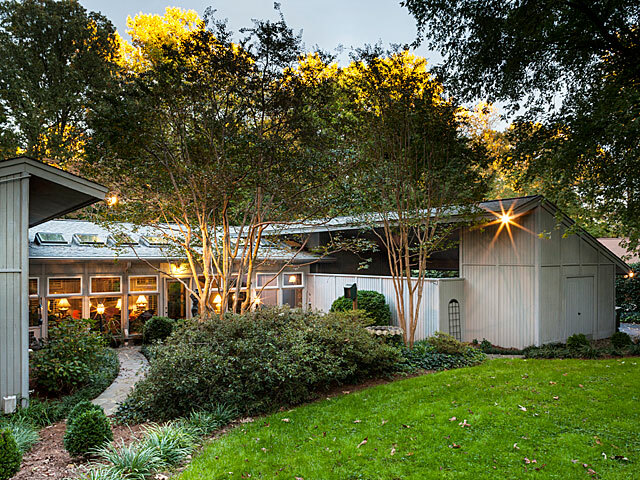 Sold in 1980 to Lee Tesh, who was the sales manager for Pine Hall. 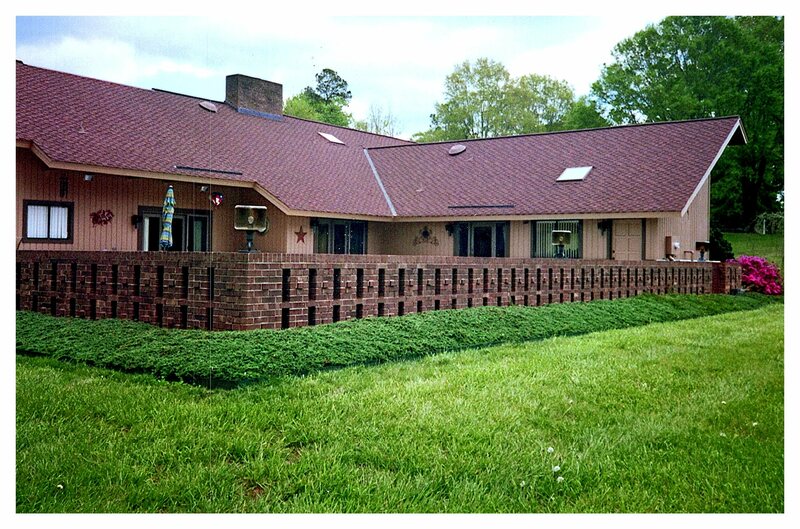 Sold in 1987 to Robert and Joem Henning, Jr.
1981 - The Durwood A. Smith Jr. House, 310 North Street, Rural Hall NC. Still owned by Smith as of 2017. 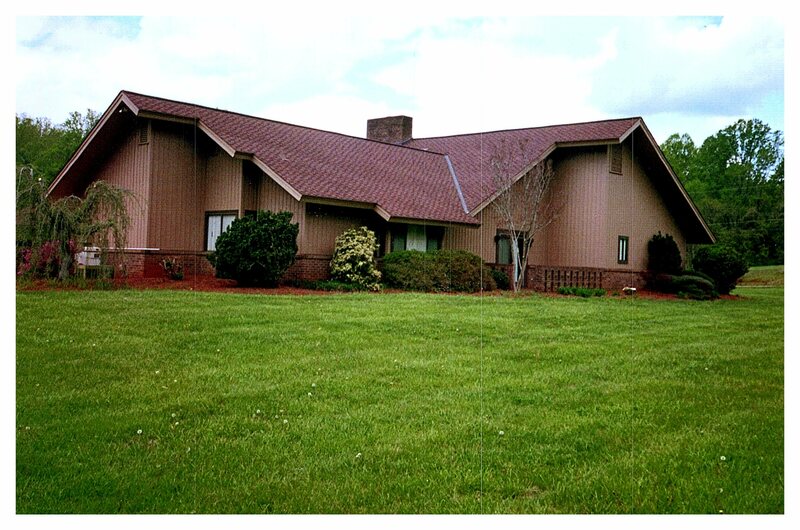 1983 - The Marbry and Judith Hopkins Residence, 313 Susanna Drive, Kernersville NC. 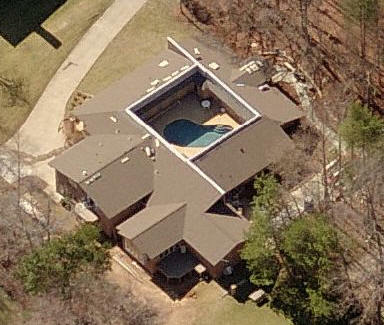 Includes a 40' x 40' courtyard with a pool. 3000 sf. As of 2012 still owned by the Hopkins. 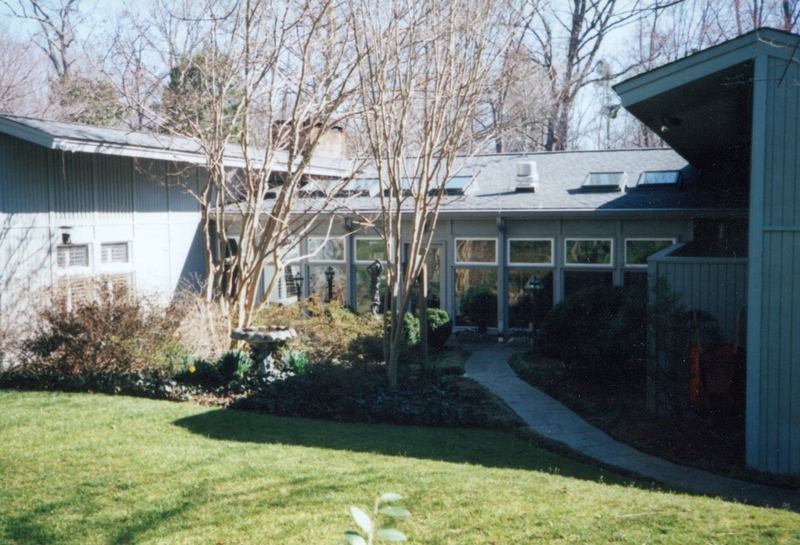 1983 - The Tucker House, aka Courtyard House, Forsyth County NC. 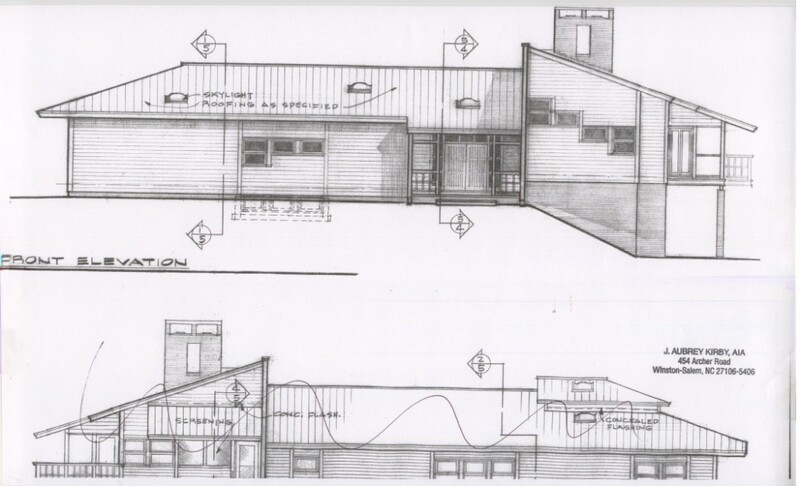 6000 sf. Lakefront. Unbuilt. 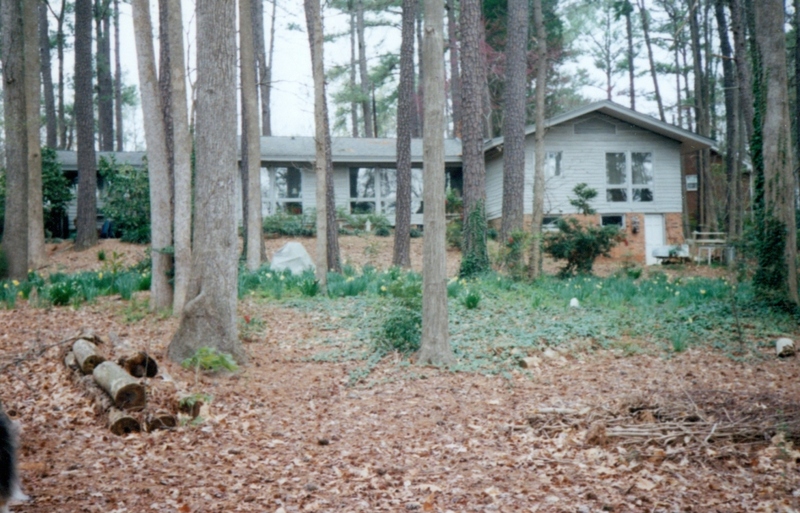 1984 - The Wallace House, Flint Hill Road, East Bend NC. 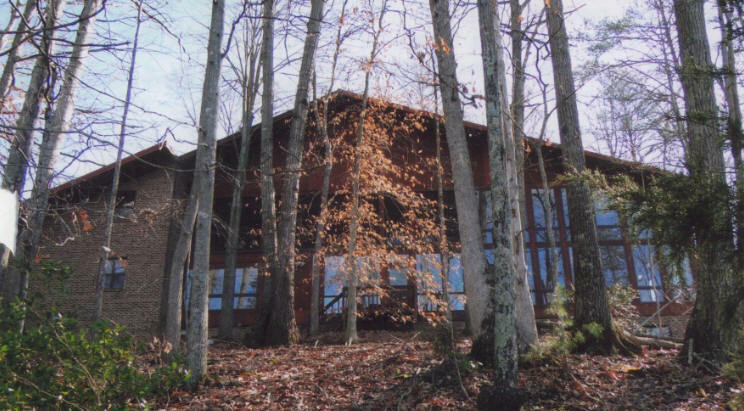 10000 sf on 80 acres. 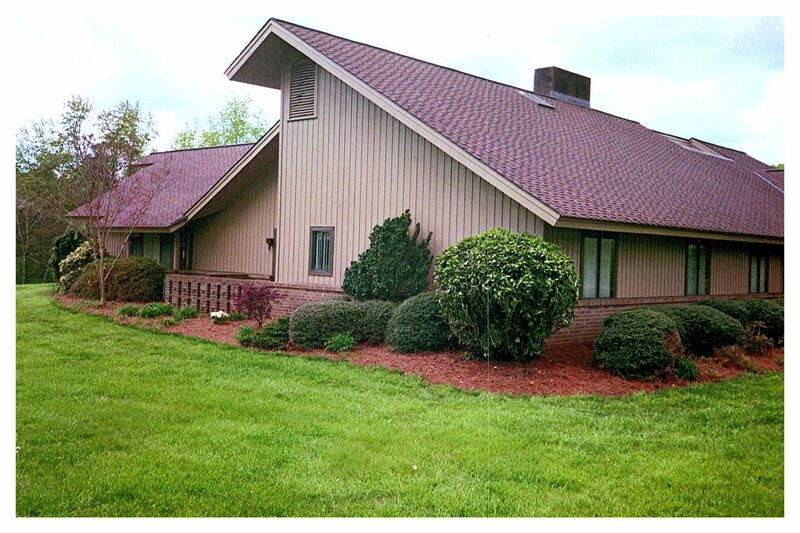 Includes three floors plus a scientific lab for the owner, a chemist. 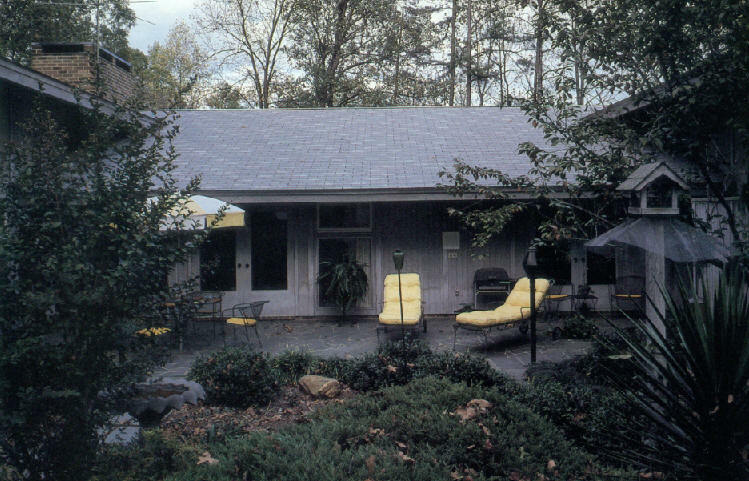 1985 - Fortis Homes Passive Solar House, Pebble Creek, Forsyth County NC. Sources include: J. Aubrey Kirby, May 1980 Brick and Clay Record, October 1979 Suburbanite, October 1979 Winston-Salem Sentinel, August 1989 Triad Business, North Carolina Architect Nov-Dec 1984, Faith Hope and Hard Work by Fam Brownlee.